National home sales fell 10.7% to a five-year low in June, the Canadian Real Estate Association reported. Prices have also softened by 1.3% to an average of $496,000, ($389,000, once the Greater Vancouver and Toronto areas are excluded). The situation has improved on a monthly basis, with home sales rising 4.1% since May, marking the first month-over-month increase this year. But there’s still a long way to go before returning to the stratospheric levels posted in recent years. Although British Columbia and Ontario seem to have finally absorbed the new legislation and taxes specifically imposed in 2017 to cool their markets, Canadians in all regions may still be finding it hard to get a mortgage from federally-regulated banks. Not only are tighter lending qualifications in place, but the Bank of Canada recently hiked its overnight rate by 0.25%, the fourth such hike in 12 months. Due to the new stress test requirement for uninsured mortgages, Canadians now must have income that could support a mortgage at 5.34%, or find an alternative lender. As has been the case all year, apartments led the pack with strong price growth—up 11.3% year-over-year. Apartments are likely the only affordable property type for buyers in Canada’s largest markets and should remain in high demand for the rest of the year. Townhouses, the second-least expensive property type, followed with a 4.9% price increase. Expensive single-family home values declined, with one-storey homes down 1.8%, and two-story by 4.1%. Similarly, properties in the smaller and less-expensive urban centres of Montreal and Halifax, where prices are in the mid- to high-$300,000 range, show the fastest growth in the country. Meanwhile, properties in the uber-expensive cities of Toronto and Vancouver have recovered after provincial interference and are now slowly growing month-over-month. Saskatoon saw the largest price declines, down 4.6% to $325,288, like due to an oversupply of condos and townhouses. Zoocasa.com is a leading real estate company that combines online search tools and a full-service brokerage to empower Canadians to buy or sell their homes faster, easier and more successfully. Home buyers can browse real estate listings for Calgary real estate, Edmonton real estate and across the nation on the website or the free iOS app. Previous ArticleAfter the Hike: Fixed or Variable? Danielle Kubes is a content writer for Zoocasa.com, a leading real estate resource that combines online search tools and a full-service brokerage to empower Canadians to buy or sell their homes faster, easier and more successfully. 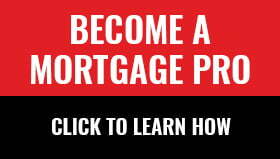 The Latest in Mortgage News – Is the Correction Almost Over?